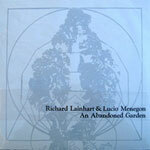 An Abandoned Garden is a full length LP compiled from recordings made by Richard Lainhart (Buchla 200e & Hakkan Continuum) and Lucio Menegon (lapsteel/processing) in New York during the spring of 2011. An Abandoned Garden is available from Rubber City Noise as a limited edition 12" black vinyl with hand-crafted silkscreen jacket-poster, wraparound letterpressed vellum band, full color insert, and free digital download. Lux is a full length LP compiled from recordings made by Richard Lainhart (Buchla 200e & Hakkan Continuum) and Lucio Menegon (lapsteel/processing) in New York during the spring of 2011. 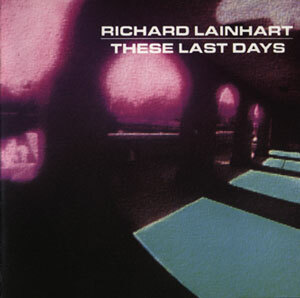 Archival, unreleased gems culled from Richard Lainhart's prototypical late 80s phase, a continuation and summation of the varied modes of digital expression first actualized on his remarkable debut These Last Days, veering between wayward guitar mesmerics and drone existentialism to offworld tribal process music. 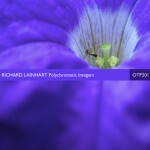 Polychromatic Integers is available from Periphery. 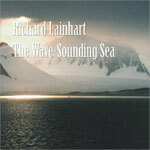 The Wave-Sounding Sea is available from VICMOD Records. 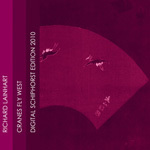 Cranes Fly West - Digital Schiphorst Edition 2010 is available from Bandcamp. 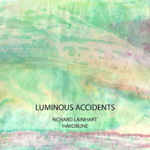 Luminous Accidents is available from iTunes. Back in 1974, one year before Brian Eno's first landmark release of ambient music, a young musician from New York wrote down a fragment of beauty's hidden story in the minimal vocabulary of sine waves on a Moog synthesizer. 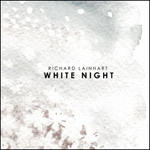 This first release on CD features Richard Lainhart's masterpiece in its original 29-minute version. White Night is available in Europe from Ex Ovo and in the US from CDeMUSIC . Read recent online reviews of White Night. 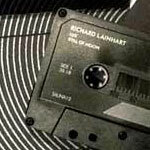 A DVD of a live electronic performance by Jordan Rudess and Richard Lainhart on July 22, 2006. 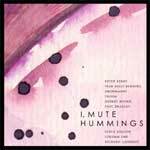 My track "White Nights (remix)" closes out this compilation of "dense drones and dulcet atmospheres". Find more Info on the disc here.